The Chattanooga Police Department is asking for the community's assistance in locating a suspect involved in the homicide of Taja Whiteside, 30, that occurred on Jan. 11, in the 5800 block of Moody Sawyer Road. The suspect in this homicide has been identified as Kameron Leslie, 30. 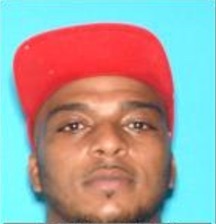 He is a black male, 6'0", and weighs approximately 175 pounds. He is charged with one count of first-degree murder. The Chattanooga Police Department is asking for the community's assistance in locating the suspect. If you have any information about the homicide or Kameron Leslie's whereabouts, call the Chattanooga Police Department Homicide Tip Line at 423 643-5100 or submit a tip using the free Chattanooga PD smartphone app. Anyone providing a tip can remain anonymous.